This glamorous photo brought to you by our unplanned overnight bus. It's just not a vacation for us without a mishap on overnight transportation. 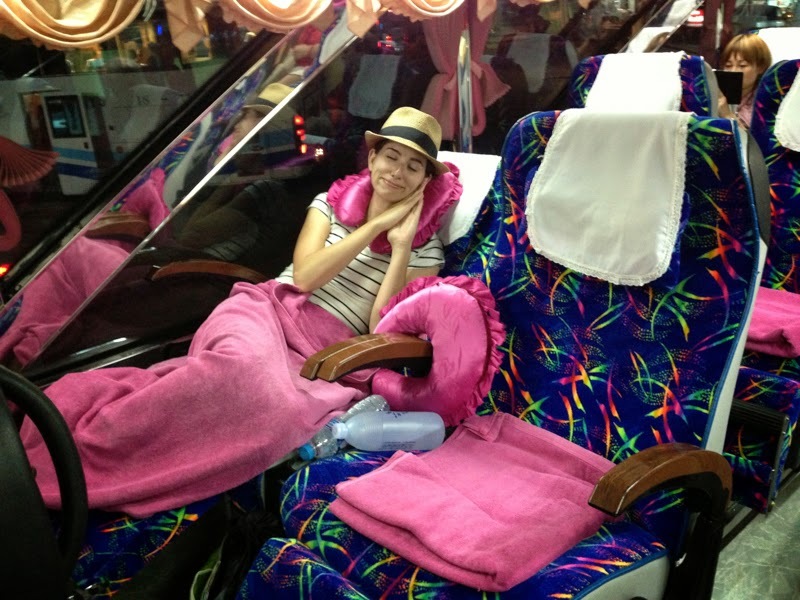 The plan was to take the overnight train from Chiang Mai to Bangkok. Tickets can only be purchased in person, so we had to wait until we got there. But a wrench got thrown into the plan when we showed up to the train station and that route was closed for construction! So.... we punted (does that sports reference work? never sure) and grabbed cheap tickets for an overnight bus. It was a pink nightmare. And yet we somehow found the humor in it all. There is no perfect trip. You just have to roll with it. Gotta laugh to survive, right?